À la carte TV as the name suggests enables subscribers to pick and choose TV channels that they want to watch and pay for each of the channels separately in addition to their base OTT service subscription price, or not be mandated to subscribe to a service to pick these channels. It is a nice feature that subscribers like to have since it gives them the ability to build their personalized subscription with only the extras and premium channels that they choose to have. 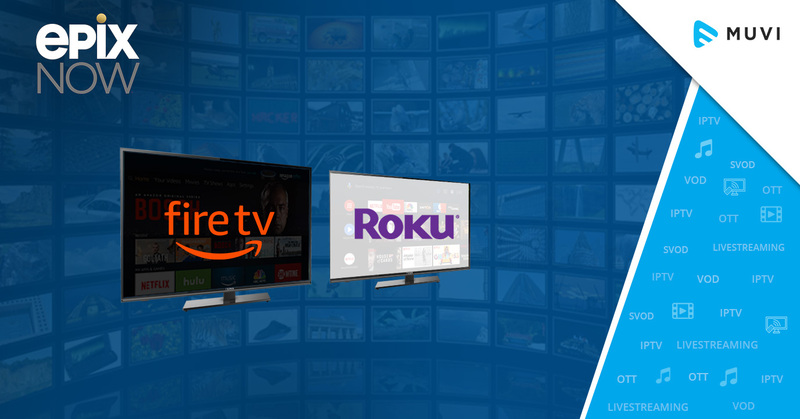 We are concentrating on OTT streaming services providing a la carte options with this blog and are not touching upon traditional cable television providers offering pay TV bundled packages with premium channels. Some popular streaming internet services like Amazon Video, Sling TV and CBS offer viewers this ability to select and pay for individual channels. Sling TV offers consumers the ability to pick their personal channel line-up from genres like sports, comedy, kids, news and more. Amazon offers Prime users to add various channels to streaming packages including channels like Showtime. CBS offers live streaming service called CBS All Access which offers live channels or watching on demand shows the day after they are aired. Why it makes sense to offer a la carte TV? In U.S and Canada according to TiVo’s survey, a majority of consumers are no longer interested in huge pay TV packages that include channels they don’t want to watch. According to the latest TiVo study, 77.3% want an À la carte TV service – meaning, they would like to pay only for the channels they actually watch. So they are not willing to pay additionally for the so-called “skinny” bundle. The average price that a U.S consumer will pay for access to top 20 channels is $28.31 which is a drop by 14% over the past two-quarters. The average price that consumers in Canada pay is $25.56, a decline by 20.1% over the past two-quarters. Majority of respondents in the study (84.4%) still had pay TV service, however, the number of those who had cut the cord (21.8%) grew by 4.4% as per TiVo’s report. Based on the above survey statistics it’s quite clear that a la carte TV is a trend that is catching up across leading streaming service providers and is a strategy that platform owners/streaming services can adopt to get consumers hooked on to OTT streaming service subscriptions that offer a la carte TV. If you are looking to start your own video streaming service then it’s important that you price the “À la carte TV” options correctly, so as to avoid losing consumers who are smart to opt out of it if they know that it’s expensive for them when added together with their base subscription. À la carte television lets subscribers pick-and-pay for individual television channels. It is different from bundling in which channels are put together as packages. Going by this trend of content providers collaborating with streaming service providers to offer TV channels and considering that more and more streaming services are offering à la carte TV where users can pick and choose the content they want to watch, more people are expected to cut the cord and back away from traditional TV services. Want to launch your OTT streaming service and offer live TV channels on a la carte basis? Look no further!! Muvi is your one-stop solution, Muvi is an end-to-end SaaS (Software as a Service) provider which is a one-of-a-kind all-inclusive video streaming platform that lets you launch White Label Multi-Screen OTT TV Everywhere-based Video on Demand (VOD) platform instantly offering Video on Demand (VOD) and Live Streaming services at a click of a button, all controlled from a single Video CMS based admin panel. Muvi provides live streaming solutions that let you go-live and broadcast your, your events or TV channel instantly without any hassles. You can live stream sports, events, news or even business conferences & training to your audience instantly. Muvi’s Live Streaming engine lets you launch a Multi-Screen Live Video Streaming platform without any knowledge of coding or IT-related headaches. So if you have live content feeds you can simply plug those into Muvi’s platform and let Muvi handle everything else, from transcoding to its distribution to your viewers. So essentially Muvi provides customized technology to cater to your live streaming requirements so that you can get the support for whatever your live streaming needs might be. So once you have setup your TV channel feeds with Muvi’s platform, you can choose to monetize them on different monetization options such as offering them under a Subscription Bundle or individually selling them on a la carte basis using pay per view (PPV) or transactional video on demand (TVOD) options. To learn more on how to use Subscription and Pay-per-view to sell videos, movies and tv channels online please check Muvi’s Monetization Guide on Subscription and Pay-per-view. Muvi literally takes care of everything from IT and Technical perspective and the content owners do not need to hire any IT teams, Coders & Developers. There is not a single line of code that needs to be written when it comes to Muvi, everything is ready to go, instantly at a click of a button from Day 1 itself. Muvi does it all for you, servers, storage, monetization, CDN, video player, reports, user management to website and apps, all under one service and one roof. So go ahead and click here to give Muvi a try.